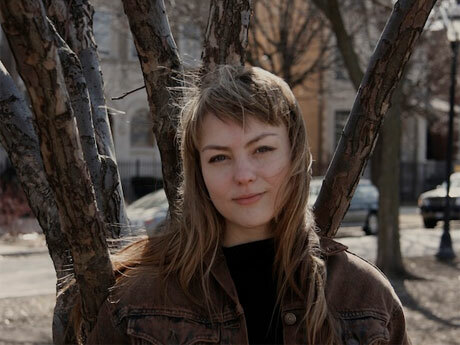 Chicago-based songwriter Angel Olsen released Half Way Home last year, and with a North American tour about to kick off, the Bonnie "Prince" Billy-collaborating singer just made a big step forward in her career by signing with Jagjaguwar. Olsen has previously released music through the comparatively low-profile Bathetic Records. Jagjaguwar said in an announcement, "It is a special kind of day when you get to announce the signing of an artist as talented and all-consuming as Angel Olsen. Her voice is an incredibly strange, yet warmly inviting instrument always positioned at the forefront of her songs." It's not clear when she'll drop her first new album for Jagjaguwar. But in the meantime, Bathetic will be repressing a couple of her past releases. Her six-song Strange Cacti EP from 2011 is now back in print and can be ordered here. The label will also be issuing Half Way Home on CD for the first time on May 14. See Olsen's upcoming schedule below. In addition to a number of U.S. and European dates, it includes a Canadian gig in Vancouver on April 21.